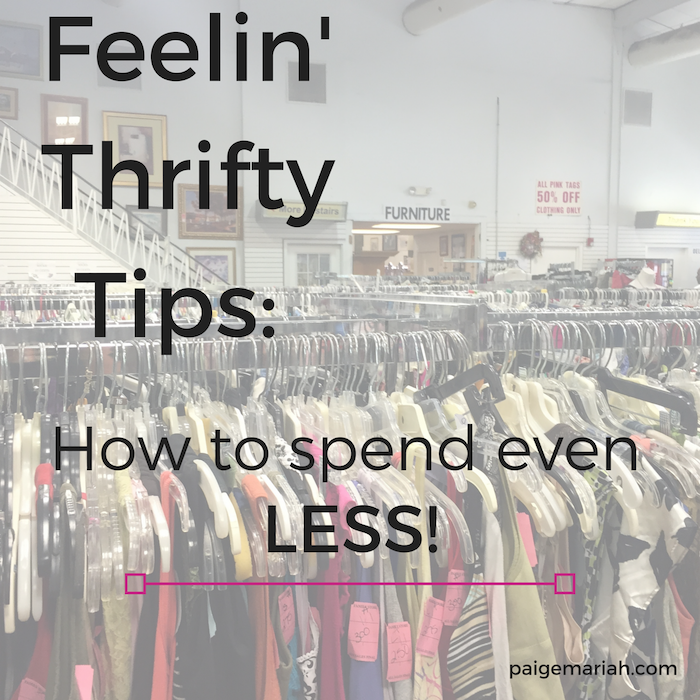 Feelin' Thrifty Tips: How to spend even LESS while thrifting! Shopping at thrift stores is already an amazing way to save money when buying clothing, accessories, furniture…you name it! Yet, who wouldn’t be excited to save even more? Check out these tips to get even better deals while thrifting! Shop off season: Just like in retail stores, you may often find a better deal when you’re shopping off season in thrift stores. Winter coats and Christmas decorations will usually cost a lot less in the summer time! Only shop on sale days: This used to be a tip that I was dedicated to…but now that I don’t make it home from work in time to make it to my favorite thrift on half off Wednesday, I just have to make do. However, if you’re able to stop at the thrift store on their weekly sale day or for a holiday special, definitely take advantage of those deals. Try things on: There have been so many times that I’ve just thrown things into my basket at the thrift store without trying it on, then gotten home and realized that it won’t even zip up! Though I never feel too guilty about it because of the extremely low prices of the thrift store, it will actually save you a couple bucks just to try everything on before you make a purchase. Item damaged? Ask for a discount: Hey, no one wants to look like they're penny pinching, but if the item has a big hole or some type of stain on it (and you're sure you can fix it up yourself at home)…it doesn’t hurt to ask the cashier for a little discount! What are your favorite thrift store savings tips?